As I was preparing for my little one's new home, I wanted to make sure that he slept well. That's why I invested in the best organic crib mattress, having hypoallergenic materials. If you're planning to get one for your baby, then read on as I show you my top five choices! 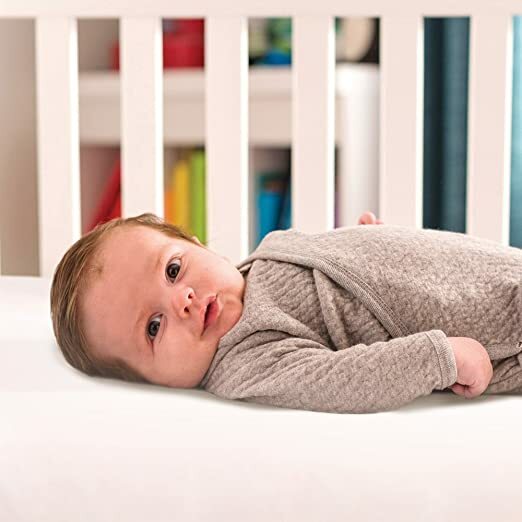 What Makes the Best Organic Crib Mattress? 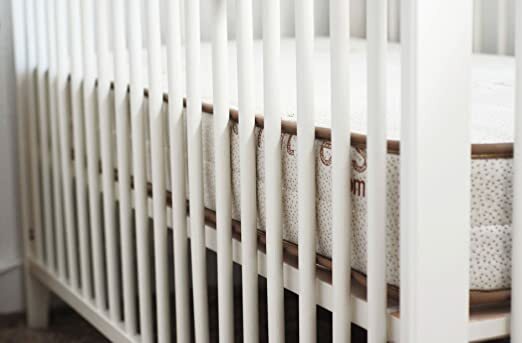 How to Choose the Best Organic Crib Mattress? Organic mattresses have natural materials without harmful chemicals. This helps with the comfort and safety of your baby as he sleeps. It's crucial for their brain and physical development. Polyvinyl chloride and phthalates are both harmful chemicals that may cause harm. It shows adverse side effects when one's exposed to it. Organic mattresses don't contain any of these materials. Because of this, your little one is free from what these chemicals may do to one's system. Make sure that you read the mattress' label to know that it's completely free from them. PBDEs are fire retardants, causing health issues when exposed to it for the long-term. Every time you're exposed to these chemicals, it gets stored in the body, which is why you're best without it. Organic crib mattresses DON'T have any of these, as some parts of Europe ban it! This certification focuses on the mattress' foam, meeting CertiPUR-US standards. It proves that the foams have no ozone depleters or flame retardants. Nor does it have other heavy metals and harmful chemicals. Greenguard needs to test the finished mattress for emission limits to pass standards. This ensures that it isn't made with formaldehyde or volatile organic compounds. What makes the organic crib mattress much better than the traditionally-made ones? Choosing organic is quite expensive, even I was a bit hesitant spending the extra bucks! But, organic crib mattresses rule because it has good benefits. When waterproofing the traditional crib mattress, it contains vinyl or PVC. Also, it might have phthalate plasticizers and other harmful chemicals. This also leads to gas-off and leaves the surface brittle, with flakes and chips. Traditional crib mattresses usually have synthetic fibers or conventional cotton. Some of these fibers may contain harsh materials! Lightweight materials like latex are allergenic and not suitable for children. Polyurethane foam may contain flame retardant chemicals. Usually, organic mattresses have the innerspring or approved material like food-grade polyethylene. But, what makes it different is its certifications. It meets the non-toxic and natural standards. They have organic fibers such as wool or cotton, safer alternatives to chemical ones. These are what helps make the mattress comfortable to sleep on! How is it hypoallergenic and waterproof? Compared to the traditional option, organic counterparts use certified materials. They're usually made from plant-based sources. The mattress is safe to sleep on and all-natural for comfort and convenience. The mattress support is such an important feature. After all, babies need something firm to stay flat and supportive. I recommend tight-fitting and firm mattresses for secure sleep. Firm mattresses do not sink down and are best to prevent flat head syndrome. But make sure it's still soft enough for your little one to enjoy sleeping on. There are various surfaces to choose from, with waterproof being best. 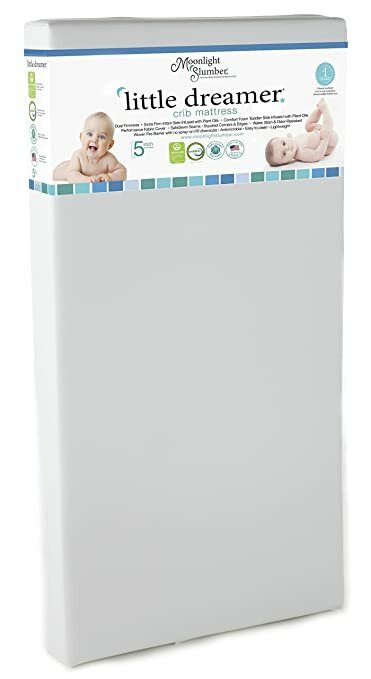 This prevents nasty messes and spills, which babies are well-known for. Also, they're easier to clean and maintain while still made of the organic materials. The mattress has the hypoallergenic materials and protection against dust and allergens. I also recommend that it's breathable, preventing heat rashes and irritation. That's why I don't suggest that you get latex or wool, which can cause allergies, and skin irritation. Will this mattress be for the crib, or Graco Pack n Play? Consider where the mattress will be and measure it to get the correctly-sized product. While most crib mattresses have a standard size, it's best to take its exact measurements for a better fit. Innerspring keeps their shape longer and provides the firmer surface. But, they're heavier and may make noise which disturbs the baby. Polyethylene foam (as approved by CertiPUR AND Greenguard) is another excellent choice. It's less toxic and still provides the even support. If you can choose its density, I recommend you pick 1.5 pounds per cubic foot. My baby stops waking up in the middle of the night already. Seams are a bit flimsy, and stitches are visible, without the tight space. The Moonlight Slumber Crib Mattress deserves a top place for all the features needed! It has all the necessary properties which make it convenient for me and safe for my little one. In fact, I would rebuy this for my next child! It's made of medical-grade fabric and plant-based foam layers. It's also free from toxic chemicals or flame retardants. You can actually choose between two firmness levels, as it has the dual side-sleep system. It depends on what your baby prefers and needs! Choose between extra firm or soft plush, which are both supportive. The mattress is both CertiPUR and Greenguard certified, meeting all standards. Plus, I can feel like it does its job as an all-natural mattress, as my baby sleeps well with it. He hasn't experienced any allergies, heat rashes, or any other harsh conditions. From its good feel, the sleep-improving features, and even the ease of cleaning, it's worth the price. It's an excellent long-term investment that lasts for years so you can use it until they turn to toddlers! The mattress has no smell or strong odor whatsoever upon arrival. There are some complaints of a bit of sagging. 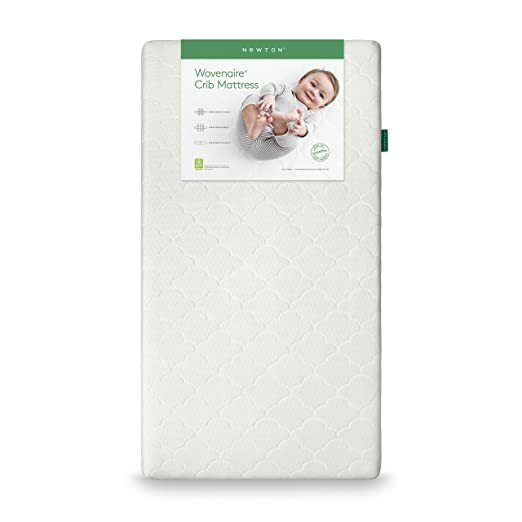 For parents who feel like their babies need a softer feel, then the Emily Crib Mattress if for you. While it has the soft filling, it still stays firm enough to avoid your little one from sinking in. It's the perfect balance of plush and firm, which is why my baby sleeps straight and without issues. The mattress has the GOTS certified organic cotton. It's free from lead, polyurethane foam, and other harmful chemicals. This is an innerspring mattress, having the heavy-duty 150-coil innerspring. That gives mattress the firm features. But, the natural eco-wool quilted cover is what makes it feel soft and comfortable. The eco-wool quilted cover was a bit worrying for me at first since I focused on waterproof materials. While it isn't as easy to clean as the editor's choice, I still commend it for the comfort it brings. And since you can flip the mattress, you won't have to worry too much about spills or accidents. I see that the mattress can last for years and is very durable. This is what makes it an investment for your little one and even future babies! The waterproof cover included isn't removable from the mattress. 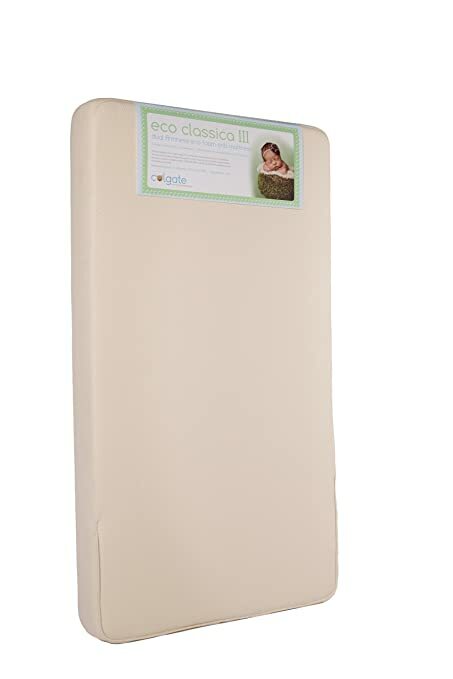 Organic crib mattresses are expensive, and if you're on a budget, I like the Colgate Eco Classica III. It's a bit cheaper compared to other brands but still has useful features that help improve sleep. It's both CertiPUR and Greenguard certified and made of sustainable plant oils. Also, it's free from phthalates and other harmful chemicals. The mattress has the lightweight foam, having the supportive feel as it's six inches thick. Furthermore, it has the dual firmness as both sides are extra-firm, which is safer. One side is a bit softer though, which you can use as they grow to the toddler stage! It keeps its shape for years, and your next baby can use it. For those on a budget, you'll like its durability and simple make that helps babies sleep well. The mattress is very scratchy without a crib sheet. The Newton Baby Crib Mattress and Toddler Bed is a bit expensive, but believe me, it's worth everything! If it weren't so darn expensive, it would have made it to the top of my list. But while it's a fantastic choice, it still has some of its minor downfalls, which is why it's on the fourth place. The mattress is Greenguard Gold certified, with even higher standards for organic materials. Also, it's free from harmful chemicals that affect indoor air quality and your baby's sleep. Made of the nontoxic materials and a spacer fabric, it feels so soft against the firm mattress. When it arrived, it impressed me with its high quality. As my baby began sleeping on it, I was even more impressed. There hasn't been a night that he wakes up feeling uncomfortable or with sneezes! Furthermore, it's for long-term use, whether it's for his toddler days or for your next little one! Greenguard Gold certified for better organic and non-toxic standards. And finally, there's the Lullaby Earth Crib. It has the excellent feel and made of the all-natural materials. The mattress has the good design down to the Greenguard Gold certification. I like that it has the adequate feel to it. My baby sleeps fine with a few nights of waking up from heat but not from the extra-firm feel. Yes, the mattress is waterproof, though not as breathable, which isn't best for babies who sleep hot. But other things I like about it is its right firmness for its price! It also has the soft feel to it, which has the mattress still feel soft. My angel still sleeps safe and enjoys naps and bedtime now. Also, the mattress has the lightweight material, making it easy to bring around. But, it's not that light enough to the point the baby can move it around! Do take note that it has a few minor issues to look into! While it's a clean mattress that's easy to maintain, it isn't as durable as others. The mattress does last long, but not long enough to use it as he develops into a toddler. With all that said, it has a lifetime limited warranty, good feel, and the natural materials. At its moderate price, it's still a good investment. 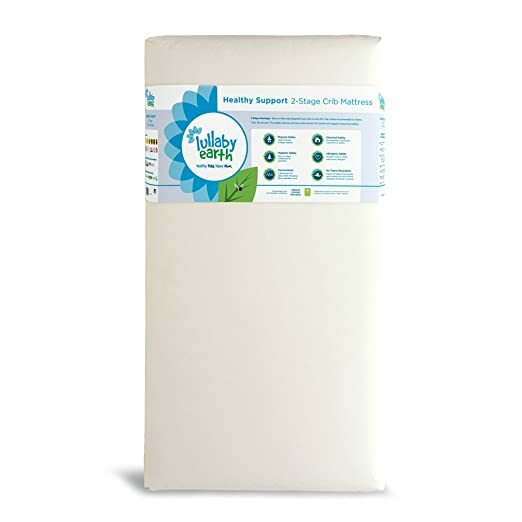 For those who want to ensure the safety of your baby as he sleeps, then organic crib mattresses are best. They aren't only made with natural materials, but they feel great for babies! That way, your little one can sleep well and you know he's secure as he rests. 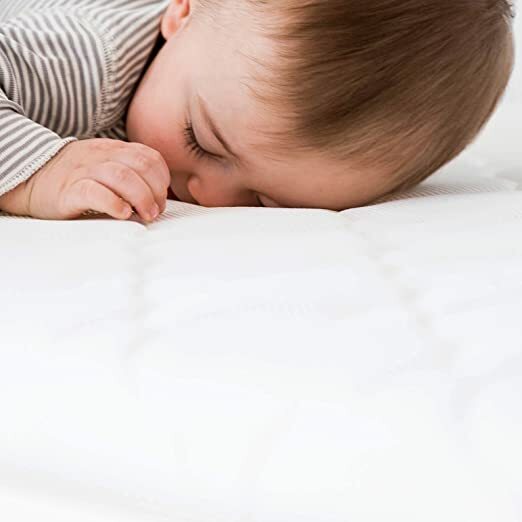 Of all the different the best organic crib mattress reviews, I recommend the Moonlight Slumber Mattress. What makes this the top choice is its extra firm and supportive feel, made of plant-based foam layers. It's still soft for comfort and is breathable to improve sleep, having a perfect balance! Also, it's hypoallergenic, keeping babies away from allergies that can harm in the long run. With its certifications, durable quality, and cleanable properties, it's worth the long-term investment! My little one now sleeps well because of this mattress, and I would rebuy it for my next. I hope this article on the best organic crib mattress helped you find the one for your baby! So don't wait any longer and check any of these products out now. 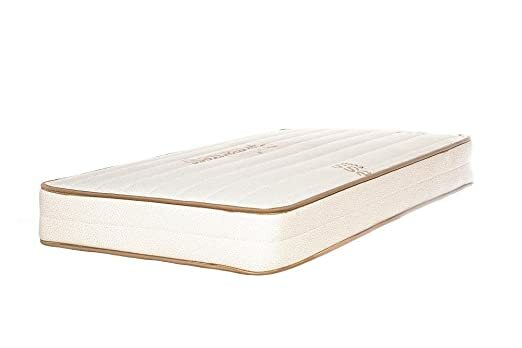 If you have any questions or want to share your reviews of best organic crib mattress, then comment below. I would love to hear what you have to think.